Benefit Enable large-scale deployment of 3D scanning into survey operations, improving efficiency and safety. 3D as-built models will enhance highway design, construction, and maintenance. AHMCT researchers have developed a coordinated set of standards and specifications for the use of laser scanning in Caltrans. Guidelines clarify the common limitations of 3D laser scanners and recommend mitigation methods, and will help engineers and surveyors to select the right scanner and determine optimum scanning settings for survey applications. The standards also outline the CAD data format that should be used for archival and exchange purposes. The project also developed recommendations for LIDAR-based workflows. 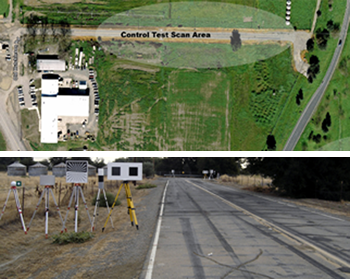 In the research, controlled tests were conducted on laser scanner hardware and software to compare features and performance, and the scanners were evaluated in pilot tests in Caltrans survey projects. Traditional survey instruments are limited to locating one point at a time. In addition, surveyors are often exposed to all manner of environmental hazards in the traditional survey process. 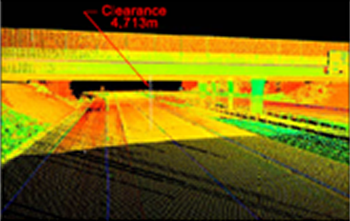 DOTs and private contractors have used laser scanning in highway survey applications and found that it reduces lane closures, decreases the risk of casualties, and increases productivity. The resulting high-resolution detailed 3D models allow engineers to extract all the required data, decreasing or eliminating the need for surveyors to return to sites for additional measurements. This will enhance highway design, construction and maintenance. 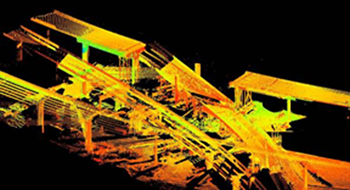 Using 3D laser scanners will dramatically improve safety and efficiency over current survey methods. However, to fully realize the benefit of using 3D laser scanners, they must be used properly and in appropriate applications. Like any instrument, the 3D laser scanner has limitations, and may not be appropriate for every application. 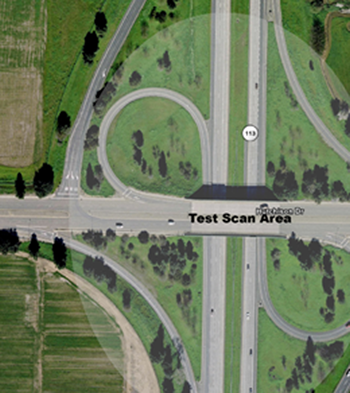 Furthermore, the postprocessed CAD model data must support export to other Caltrans CAD software, e.g. CAiCE and MicroStation. 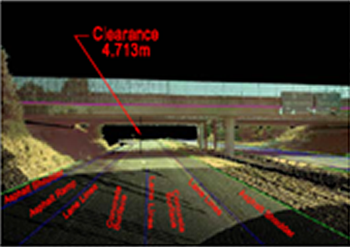 Prior to this research, there were no standards and guidelines specifying the use of 3D laser scanners in Caltrans survey applications. Without standards and guidelines, the 3D laser scanner can only be used on a trial-and-error, ad hoc basis, which is costly in time, money, and safety. 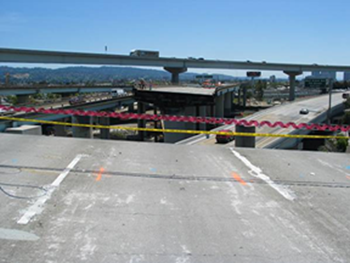 Therefore, a set of Caltrans standards and specifications defining the appropriate use of 3D laser scanners for different types of Caltrans applications were needed to enable deployment of this important technology. 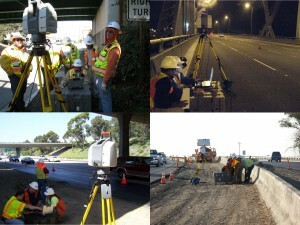 These standards will promote consistent and correct use of 3D laser scanners throughout Caltrans and by its contractors. 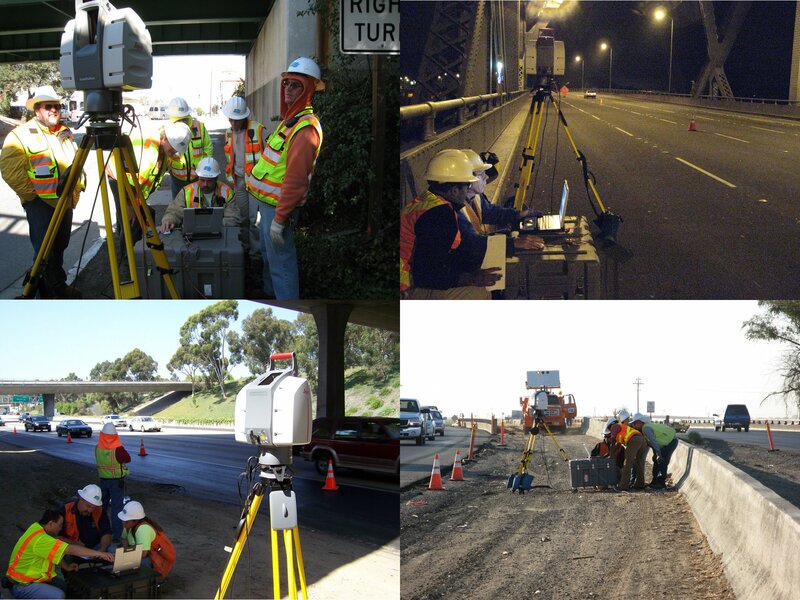 AHMCT researchers developed standards and specifications for 3D Laser Scanning that will enable large-scale deployment of this technology into Caltrans day-to-day survey operations. The research project included detailed vendor-neutral hardware and software evaluation of systems from major LIDAR vendors. This evaluation focused on issues that are of significant concern to Caltrans applications, workflows, and data flows. Work flow and QA/QC procedures recommendations on the use of 3D laser scanners survey. The research project is complete. The project final report is available in pdf format at: AHMCT Lidar Final Report AHMCT researchers continue support for Caltrans field trials and case studies of 3D laser scanning, including a recent scan of the collapsed section of the MacArthur Maze, on-going operator training and field support, and investigation of mobile laser scanning for highway applications.